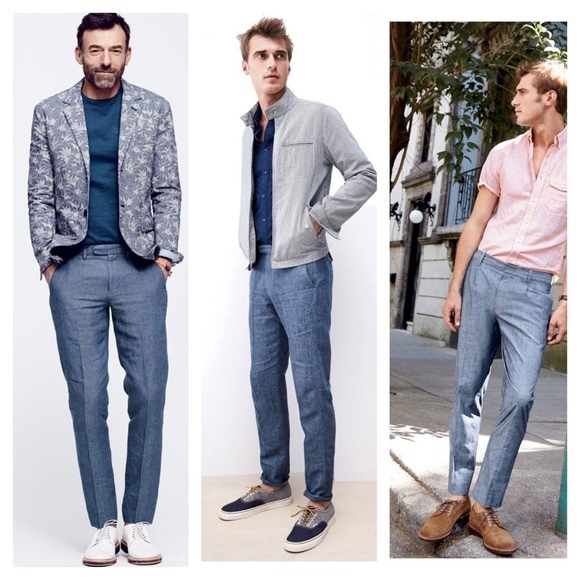 Thread: What to wear with Chambray pants? 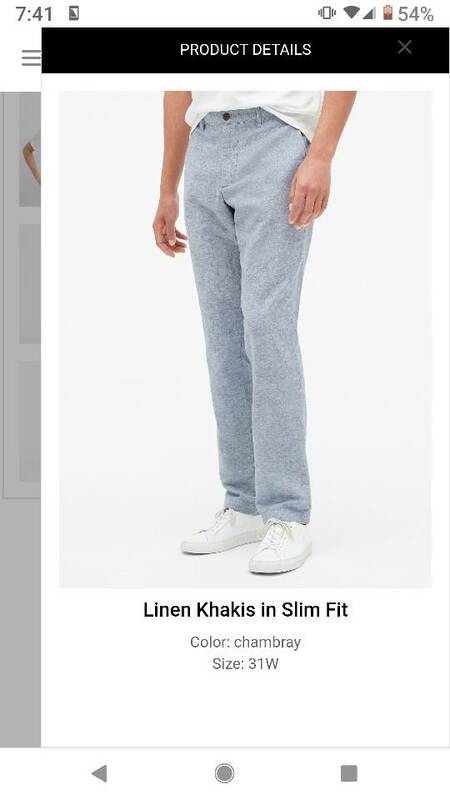 I bought these linen blend pants from the Gap, they fit well, I really like them, but what do u wear with them besides a white polo or button down? I'm going to a very casual Mexican resort wedding next week and will wear them to the ceremony or dinner one night. I have espadrilles, white gum sole sneakers and BR loafers to pair with them. Any thoughts to get me out of my lane? I don’t recommend a sweatshirt like the last picture. 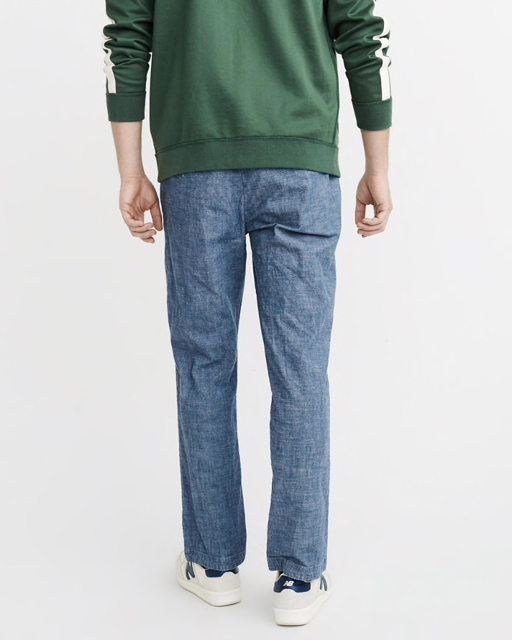 Just pointing out that green could work. I like the pink option for your function. I would wear a long-sleeve guayabera shirt. Something like this would look sharp, for a Mexican resort wedding. The photos above suggest what I was inclined to first respond with, and that is a darker blue shirt, either polo ot button up. I also have some shirts with mid to darker blue stripes that would also work nicely. Since you're going to a wedding (and I'm assuming it's an extremely casual wedding based on your outfit choice), a pink shirt would also look good with those pants, again either solid or striped. 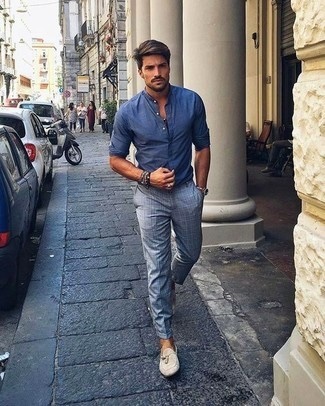 A tan linen shirt could also work. These are excellent suggestions. I had t considered pink but will add it to the list. I struggle with the different textures and pattern these have and trying to figure out what material or pattern is complimentary. I try to stick with the basic rule of only one non-smooth texture per outfit (unless said outfit is a suit; clearly a tweed or linen suit would be fine). Therefore, I'd pair those pants with something with a smooth texture.. like a polo, or perhaps a guyabera as suggested given the location. I think a pink end-on-end button down could look really sharp. Another option (but very hard to find) would be a navy Voile weave button down. Perfect for Mexico! This type of shirt is very popular among higher class Mexicans at any formal event that they have at a beach. I got mine in Oaxaca city 2 years ago. They are not cheap for the hand made and linen materials.